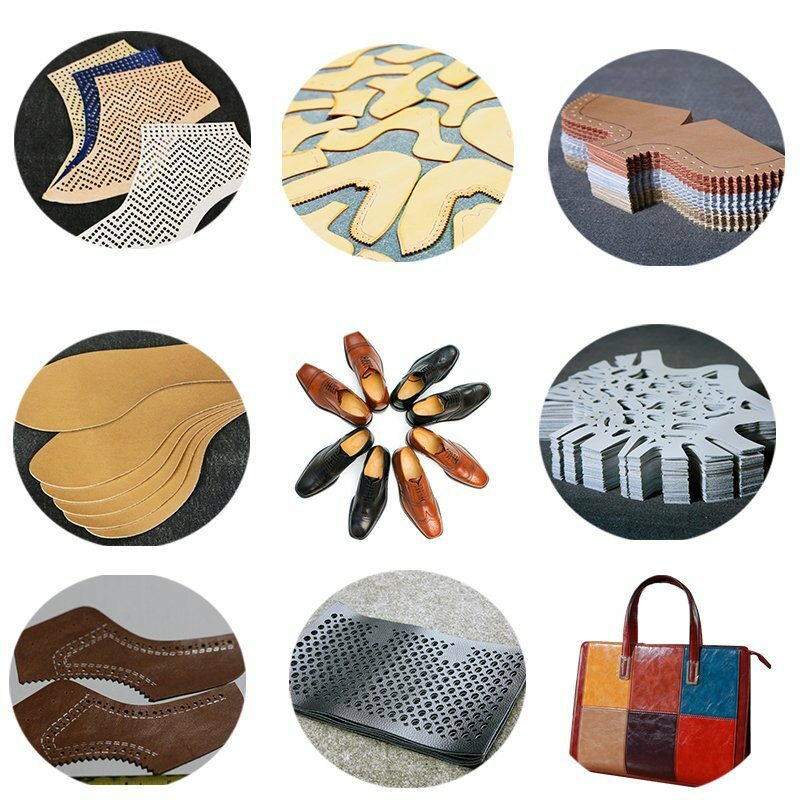 Application: Leather Shoes, Leather Furniture, Leather Bag etc. Special Feature: Machine Table Combines Cutting and Nesting Area. 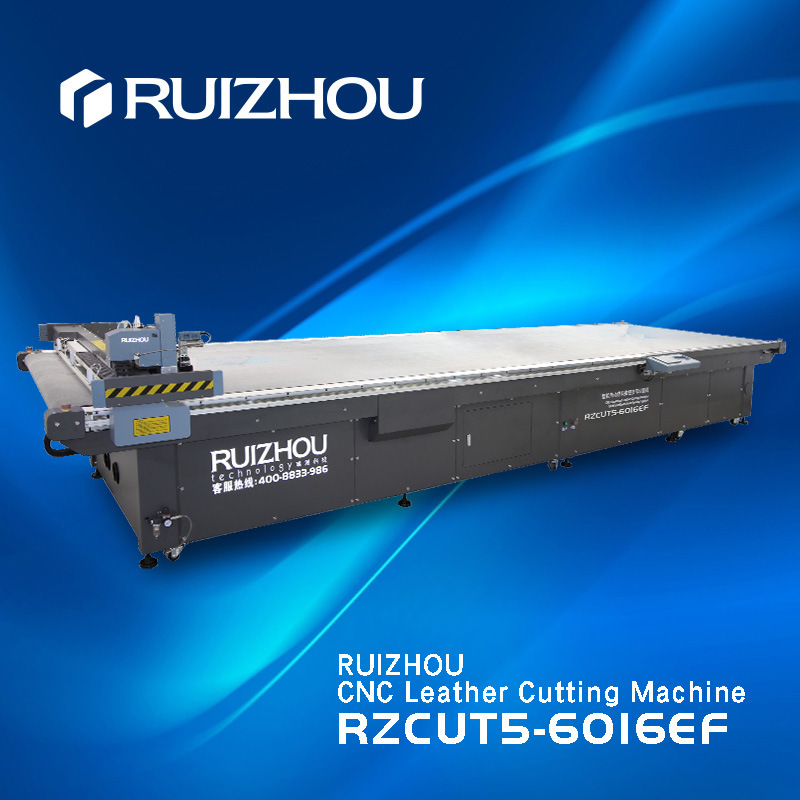 RZCUT5-6016EFÂ is ourÂ NEWÂ model for genuine leather cutting with two cutting heads. Cutting by oscillation knife, it's positioned for fast and accurate production of shoes upper, automotive interior, garment, leather goods etc. Two multi-functional cutting heads working at the same time, finishing interactive cutting, punch and marking in one workflow.Â --FAST ! Leather cutting area and leather nesting area is combined in one table facilitatesÂ high-efficient work processes.Â -- SAVE ! 2. 4 Significant values make it stand in the lead! Â Management value:Â Saves 6-9 workers comparing with traditional production processes of shoes, garment automotive interior or other leather goods, saving about RMB 270,000 every year for labor cost. Â Creation value:Â Intelligent, flawless and creative patterns increase your product value, making you more compatible in the market. Â Cost value:Â It can increase your materials average utilization of 5%-8%. Genuine leather, synthetic leather, PVC leather, cardboard, carbon fiber, aramid fiber etc. Â It is fast, accurate and no burning nor smell. Â A set of creasing wheel with four different sizes can make good folding lines according to your different Â materials. 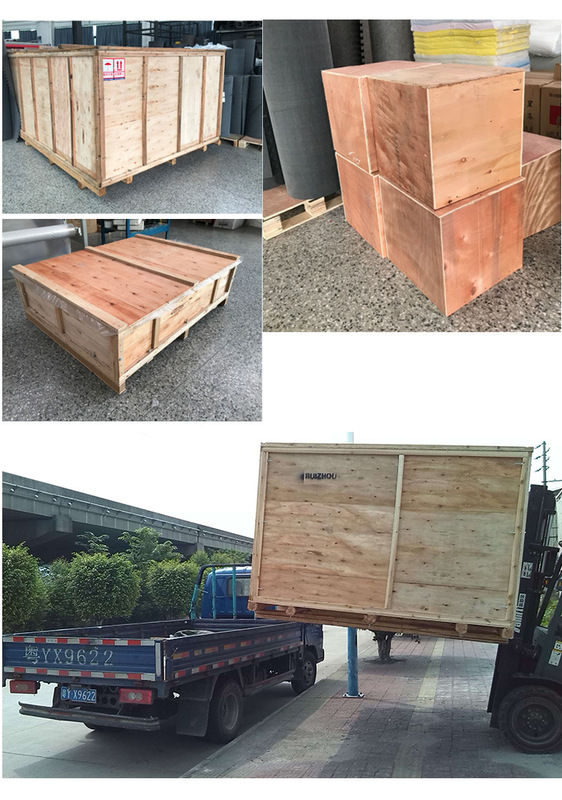 Â This is special for V groove making when it comes to materials like honeycomb board, gray board and other Â relatively thicker materials. Â This is specialized for Acrylic and thin wood material cutting. 5.CCD: camera, professional for positioning for print materials. Automatic and precise. 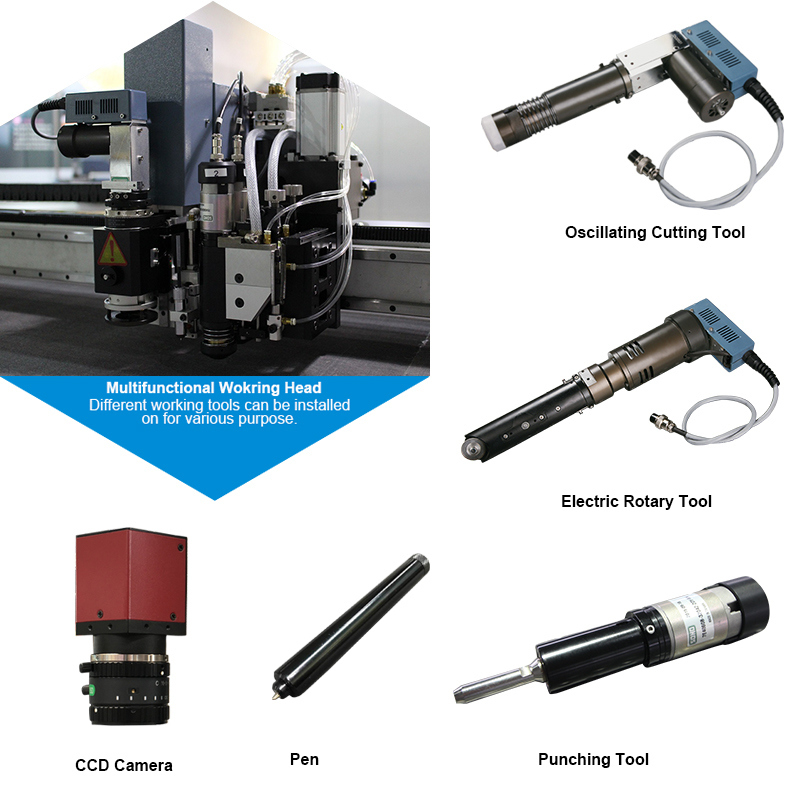 Guangdong RUIZHOU Technology Co., Ltd is a national Torch Plan High-tech Enterprise, specialized in the research, development, sales and technique service of soft material intelligent CNC cutting machine. 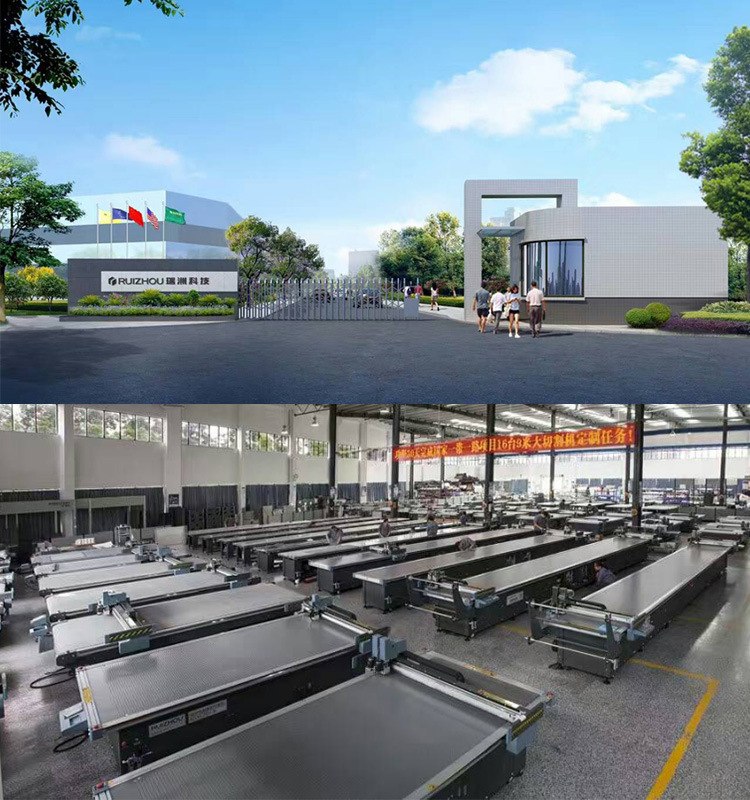 RUIZHOU Technology has been dedicated in supplying informationized and automatic design and whole solution of intelligent production for a broad community of soft material manufacturers, which achieves Â the realization of the confluence of informatization and industrialization. *Â Â All spare parts are available whenever needed. *Â Â We provide one free operation training for our products in our office. *Â Â On the spot can be considered and arranged. * Â Respond within 24 hours. Â 1. Q: What are the consumables?